I came to know of Dave Bazan and his music ventures through perhaps the most ironic way: a religious podcast on which Bazan explained his upbringing, his struggle with Christianity, and his eventual—and very public—disavowal of the faith that had defined his career. 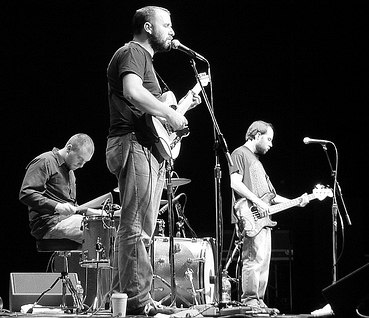 Although that was my introduction to Bazan, most fans know him from his work with Pedro the Lion, the musical brainchild of Bazan and a rotating cast of musicians that was a hallmark of the indie music/fringe-Christian music scene in the late 90s and early 2000s. The last proper Pedro release was Achilles Heel in 2004, however, in late 2017, Bazan announced that Pedro would be returning in 2019 with new material, which would be the band's first in over a decade. I wondered what would come from this reunion of not only Bazan with other musicians, but maybe more importantly, the reunion of Bazan and himself as Pedro. What would be the result of someone who for so long worked under myriad monikers, each crafted to be a standalone collection, circling back to a name and context that stood for something long abandoned? The album, Phoenix, is an homage to Bazan's hometown and childhood, and the first single, "Yellow Bike," goes headlong into this theme—the titular object is a gift given to Bazan as a 5-year-old, and more importantly a symbol of freedom, of expression. He sings, I rode off and down the road/Somehow I never went back home, and ends the song with the bike transforming into a tour bus—his loneliness and freedom as a child turned into troubadourism and a life as a touring musician. In the past, he had dabbled in concept records, so using Phoenix as a backdrop for an album did not seem so uncharacteristic. What did feel a bit so, at least on first listen of "Yellow Bike," was an intentional realism—which is just to say that often Bazan's sweet spot seems to be lyrics and themes that teeter much harder on the obscure and ethereal than the concrete and earthly, or are at least, heavier. There was on the surface at least, a little too much joviality for typical Bazan brand lyrics; if it was the subject matter, the symbolism of yellow, whatever, something seemed a bit too light. More time with the song, and the subsequent release of the next single "Model Homes," revealed that the album might be in fact taking a slightly more dark turn, but not an altogether metaphysical one. "Model Homes" centers on the idea that Bazan and his family would go to open houses for tract homes, what he calls "model homes," to see how others live, however on top of the title being literal, it also sheds light on Bazan's loneliness as a child in the same way "Yellow Bike" did—Bike contains this incredible lyric: my kingdom for someone to ride with. When I was able to dive headlong into the album, I was home visiting family, and in the evenings I would retreat to bed and listen to the album the whole way through, hoping for some revelatory experience with each new listen, and often, found myself disappointed to not get them as frequently or quickly as I did with other Bazan work—I still remember what it felt like to hear Curse Your Branches for the first time, and to have the language to describe a complicated misunderstanding of Christianity for the first time. Phoenix felt less anthemic and complex than other Pedro or Bazan music, and I couldn't help but be a little disappointed in that. It wasn't that Phoenix wasn't as good sonically, or didn't have moments where I could lean in and hear that prophetic voice I had heard so many other times in his work, it was that that voice just felt fainter, whispering small truths from a weathered voice instead of announcing widely and loudly that something wasn't right here. Even in the quiet moments though, Bazan had the ability to cut to the heart of the moment, if not just for me: In my hometown, visiting the houses of my parents and their new partners, I remembered coming home from church to a tense home—not a bad one, or a dangerous one, but not one that reflected the peace that's supposed to accompany devotion. My parents took it into their own hands to make everyone's lives a little easier, and paid a price for it. I remember loneliness, a loneliness that no amount of company could solve—and now, 1500 miles from home, realize that ultimately, my loneliness was not from lack of kinship, or from some sort of oppression or misunderstanding, but from the chasm between the inner and outer me, from the lack of leveling with myself about what I thought, and what I thought the world ought to be. Without all the fanfare of a crisis of faith, or anger with the metaphysical, Bazan was still sharp, and true—the gravest mistake a person can make is selling themselves out, or selling themselves short, or casting their cares too far from where they are. If there is a God, their ultimate concern is for more than your loneliness, namely, it's the bigger-than-you-work of making sure everyone who is as messed up as you are can somehow function as a unit; the more interior work has to be done by you, for you. Ultimately, the work Phoenix posits is the hard, gritty, day to day work of self-reflection and improvement—our beef can be with God and the spirit of the age, sure, and sometimes it ought to be; more importantly though, and much harder, is the work of looking in the mirror and asking what you can do differently, what mistakes have I made and what mistakes do I chronically make, and what do we need now more than that? And maybe that's what made it so hard for me to process at first, because when I first encountered Bazan, I was fresh out of a faith not unlike Bazan's, and I often looked toward him and his music for guidance to describe what I was feeling when I was unable or too angry to do it myself. He justified my righteous anger in a lot of ways, and it felt comfortable to be in communion. Phoenix though, came at a time of reckoning for me—a time when I had already been thinking about the things I had done to hurt others in the past, and how, if at all, I could rectify those situations. 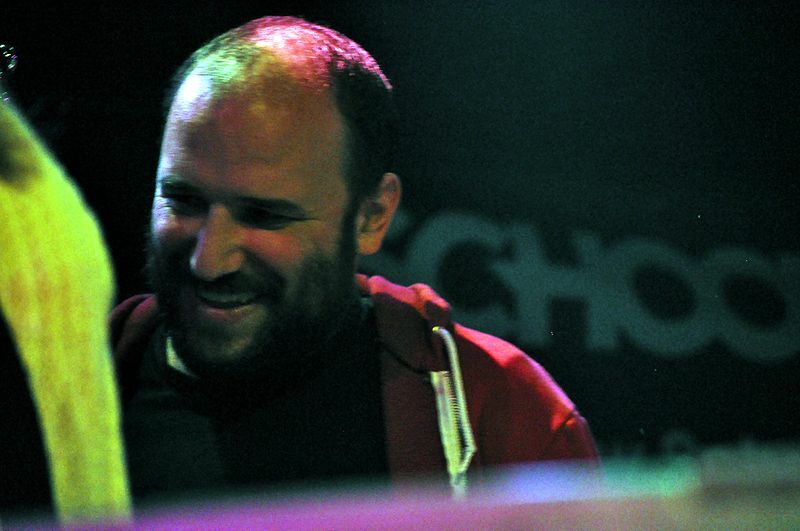 On "Clean Up," Bazan sings that the way to enlightenment and mindfulness is to "clean up your stuff," which in the most simple way boils down the mantra of Phoenix—humans are responsible for their own actions, and the only way to make things better is to hold gently our perceptions and allow them to change, and realize when they, intentionally or not, harm others. On "Eating Paper," a Bazan solo song, there's a line: Why would you sweat my confession/What I claim to be/When you see the fruit as it hangs on the tree? With even a semblance of religious education, one could see the imagery Bazan is using here—fruit being vital in many a Biblical story. But instead of using it, for example, as a hopeful and promising image (like the fruit of the spirit) Bazan is flipping it on its head, using it to challenge conventional notions of Christian thought. What does a true pro-life ethic look like? Is it just a platitude employed to further a particular right-wing idea? Do we—and I don't think Bazan would mind me lumping him in this group—as westerners, in a "Christian" nation, really care about our neighbors as ourselves? More importantly, what fruit do we produce because of our stances? I have no doubt, and I don't think many would disagree, that religious folk, strictly Christian folk, think they're doing the right thing, however, when those ideas and actions bear harmful and destructive fruit, how do we rectify that? Ultimately, Bazan decides the best way to handle all of this is to look inward and not upward—clean up your stuff. Do the good that you're able to do, and produce good fruit. I think that's a small thing we can all accomplish.